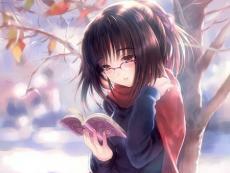 I love reading books and watching animes. These two helps me everytime we have a debate back in my previous school. I also like to wirte and read poems, and i have been looking for a place where I could post them. I found this site because I was doing my Summer Assignment, and I can not wait to start writing. My favorite books include the whole Love at stake series of Kerrelyn Sparks, and the complete Inn Boonsboro trilogy of Nora Roberts,the All Souls Trilogy of Deborah Harkness, and, of course, The Blood and chocolate of Annette Curtis Klause. My favorite Tagalog books include the whole Stallion Riding Club series by Sonia Francesca and Sofia. My Favorite Mangas include the works of Hwang Mi Ri, Shinjo Mayu, Judal, Takaya Natsuki, Kamijyo Akimine, and many others. My family migrated to California in 2011. I was the valedectorian in elementary in the Philippines. I have a twin sister, and we are 15 years old this year. We like Morning Musume, 2ne1, Beyonce, ABBA, and many other singers. This page was created in 1.6468 seconds.